Our standard cover page is printed with area for Name, Subject, Instructor, Section, Class, Date and Book No. These examination books are made in the USA and are recyclable. Interested in Custom Exam Books? * A writing page is one side of a sheet of paper. 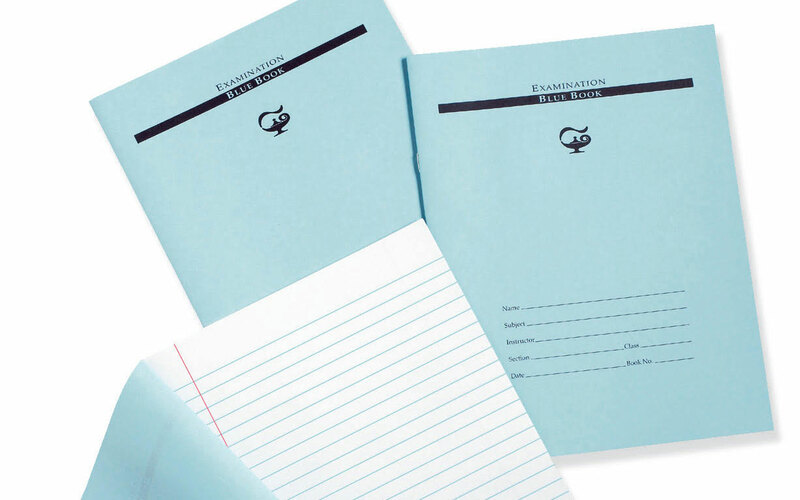 Example: an 8 writing page booklet contains 4 sheets of paper which equal 8 writing surfaces. All products must be purchased in FULL CARTON QUANTITIES. Standard order quantities to ship within 5 business days of receipt of order. Large order quantities available to ship within 10 business days of receipt of order.